EXCEPTIONAL, RARE SOFT-TOP CABRIOLET VERSION WITH THE MOST INCREDIBLE SERVICE HISTORY WITH 15 SERVICE STAMPS HAVING ONLY COVERED 65,000 MILES. NOT TO BE CONFUSED WITH IT'S COMPETITORS THIS RARE CABRIOLET MODEL IS IN UNPRECEDENTED CONDITION AND WILL NOT FAIL TO MAKE THE NEW OWNER SMILE. GENUINE 'ONE OF A KIND' EXAMPLE! JUST ARRIVED! 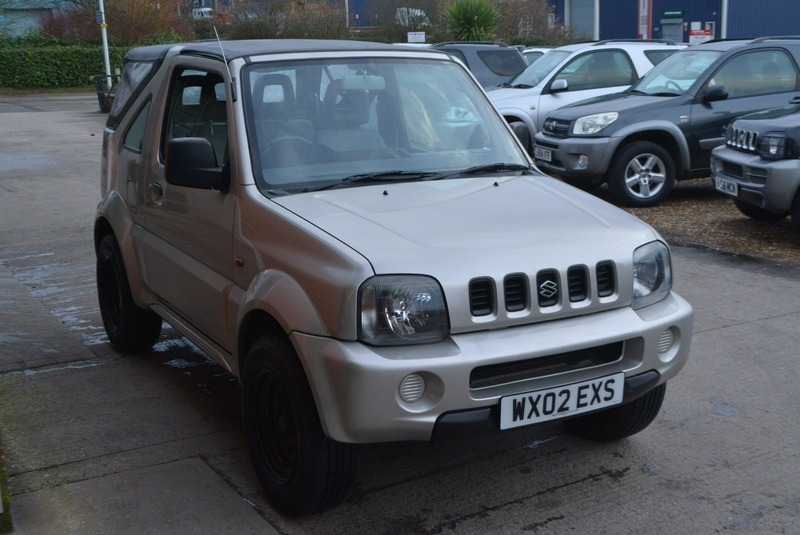 Here we have a stunning SUZUKI JIMNY JLX CABRIOLET 1.3L PETROL MANUAL 3 DOOR 4X4 in silver metallic with grey cloth interior. Full service history t intervals of 1k, 5k, 10k, 14k, 20k, 26k, 39k, 44k, 50k, 55k, 58k, 59k, 60k, 61k & 62k having now only covered an amazing 65,000 miles. Coming fully equipped with a fold back sunroof, fully removable rear cabriolet roof, removable tailgate top, electric front windows, 2wd / 4wd select, aftermarket JVC am/fm stereo with front loading cd player, electric adjust mirrors and two keys.